Your chance to discover the creative secrets of the artists and makers taking part in Scotland’s leading open studios weekend across Dumfries and Galloway. 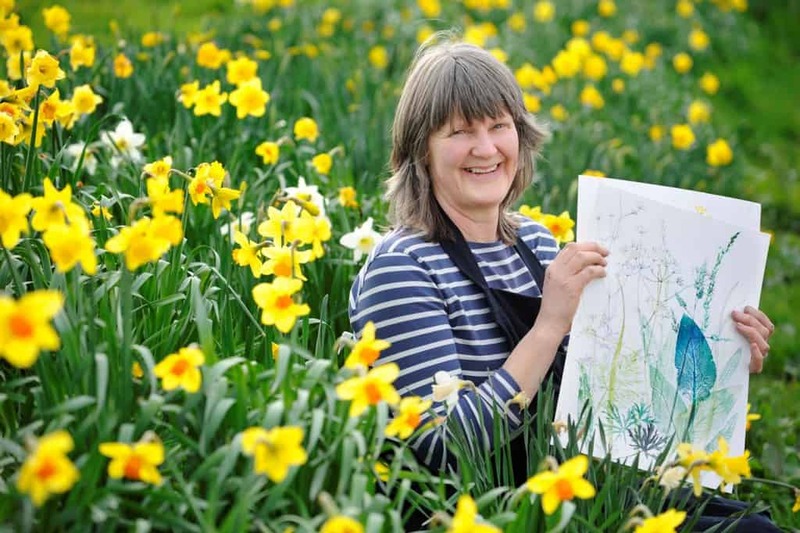 Among them is artist and printmaker Pamela Grace (The Bothy, Kirkpatrick Durham – Studio 44 on the Spring Fling Pink Route) who is running a workshop called Blossoms and Beasties on 28 May. Pamela said: “I love the flowers, birds and insects that are all around us in Dumfries and Galloway, and the inspiration for my work comes from the fields and hedgerows. “Every year I find that visitors not only want to know how I make my original prints, but really want to learn some of the techniques and try it out for themselves. Joanna Macaulay, Events and Exhibitions Manager for Upland which runs Spring Fling, said: “Spring Fling visitors are very creative people and so often really want to learn from our artists and makers, so this year we are offering a really wide variety of workshops and master classes.